One of the things we just love about tea is how luxurious a simple cup of tea can feel. 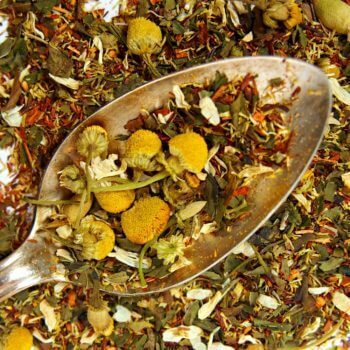 We want you to feel like a million billion bucks at a moment’s notice, which was exactly what our intention was when making the Self Care Blend, a relaxing herbal tea. 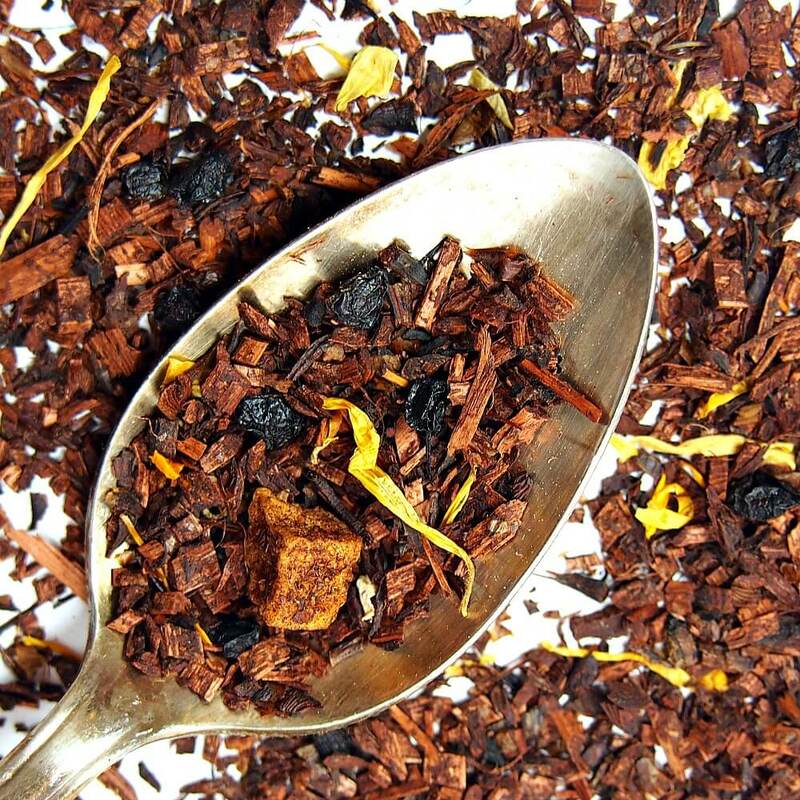 A curious pairing of elderberry (tart) and apricot (sweet), this all-organic tea has mellow flavors and is packed with nutrients. 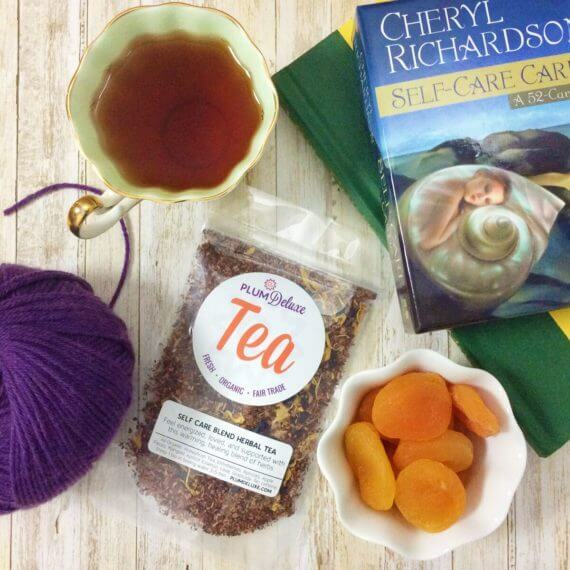 You’ll love this apricot tea paired with a hot bath, a good book, or after a nice spa treatment. Elderberry — believed to help us tap into our inner magic — helps expel toxins and helps with colds and viruses, and apricot is believed to be one of the most healing fruits in nature. This tea is wonderful. The elderberry, marigold, and fruit pieces work wonderfully together. If you want a little sweetness a drop of honey is fine, but I enjoy it plain as well. I've already reodered it once and had to give bags away to family and friends. Clearly, I'll be reordering again. This is my go-to wellness tea - whether I just want to feel good or I'm fighting off a bug, this tea is the right combination of wellness and tastiness! It never ceases to surprise me how much I love this blend - I've never had anything quite like it. I will always be sure to have this in my in my stores! Some days I pick my tea by smelling all my choices. I don’t pick this one daily, but it’s what I reach for when I need a quiet hour curled up on the couch. The apple and apricot give it a fruity touch and the rest just soothes me. The perfect Self-Care. Ingredients: Honeybush Tea, Elderberries, Apricots, Apple Pieces, Calendula, Natural Apricot Essence, Love, Gratitude. No Caffeine. Suggested Uses: This is a good alternative to our Cuddletime tea blend. 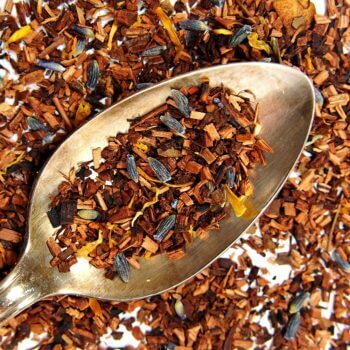 It is absolutely delightful with a bit of heavy cream or a dab of honey, and also works well as an iced tea.